The Code Creator FFmpeg Media Converter is a complete, cross-platform solution to record, convert and stream audio and video. It contains node.js, ffmpeg and videoconverter.js (a program that lets you process videos in your browser) on Ubuntu 16.04 LTS. 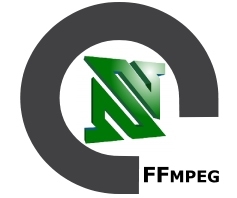 FFmpeg is the leading multimedia framework, able to decode, encode, transcode, mux, demux, stream, filter and play pretty much anything that humans and machines have created. It supports the most obscure ancient formats up to the cutting edge. No matter if they were designed by some standards committee, the community or a corporation. It is also highly portable: FFmpeg compiles, runs, and passes testing infrastructure across Linux, Mac OS X, Microsoft Windows, the BSDs, Solaris, etc. under a wide variety of build environments, machine architectures, and configurations. videoconverter.js is a program that lets you process videos in your browser.